Jeremy’s unique perspective on life as a Mormon enabled him to accept the end of his career with grace and optimism. Check out this great write up about Jeremy at FoxSports, “Mission Man: Royals’ Guthrie holds unique place in MLB history“: Guthrie became the first Major League Baseball player who had been a Mormon missionary to appear in the World Series, according to research by Doug Andersen of The Church of Jesus Christ of Latter-day Saints. The Mets selected Guthrie in the 15th round and offered an extraordinarily high bonus ($650,000) for that point in the draft. Guthrie declined, saying that he was determined to serve his mission before turning pro. During one meeting at Shea Stadium, Guthrie remembers then-Mets general manager Steve Phillips asking if $1 million would be enough for him to commit to baseball full time rather than become a missionary. Guthrie said no. 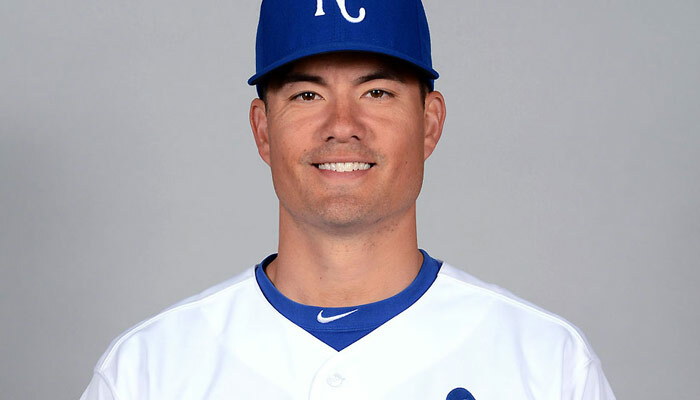 Unfortunately, Guthrie’s baseball career ended on April 8th, 2017 while pitching for the Washington Nationals. MASN Sports called it his “career-ending start” that none of us were expecting, including Guthrie, especially after his phenomenal performance during spring training. However, Jeremy’s faith shows through during an interview with MASN Sports’ Mark Zuckerman: “Maybe the only way I could end up at home anytime soon with my family, where they need me, was for something like this to happen … That was maybe the hardest question I had to ask myself: ‘Why would I pitch well enough to make the team, just to have this happen?’ In my mind, I felt like there was a greater plan, pushing me and providing the opportunities that came to me.” Guthrie’s words show that, despite the trial that he is facing, he knows that God is still watching out for him and has a plan for him. That’s what Mormon’s believe–difficult things happen in our lives to make us stronger and to teach us important lessons. Jeremy has taken this sudden change of direction with a lot of grace. He believes that it’s a great opportunity to spend more time with his family, something that’s very important to him as a Mormon.